Looking for the perfect new home can be a daunting task. Your mind is filled with questions that can feel overwhelming at times. In what part of town should I live? What type of home would be the best fit for my family? How can I be sure that I've seen everything that might be a good possibility? How do I present an offer? How much should my offer be? How can I be sure I'm getting the best price for the house I want? Your mind will be at ease by using a buyer's agent; these are the reasons why you should..
You've heard the adage, "nothing in life comes free." This simply isn't true when using a buyer's agent….it is completely free for the buyer! 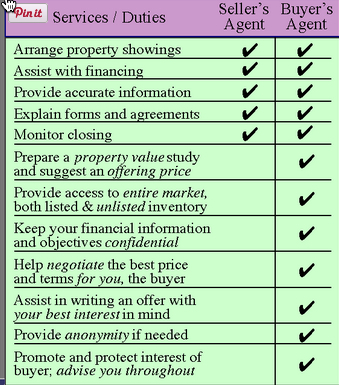 By using a buyer's agent, you get the expertise and experience of an agent who is professionally trained in locating the perfect home to meet all the needs of the client. In a residential real estate sale, the seller pays all commissions for the listing agent and for the buyer's agent. Therefore, this specialized service comes at no cost to the buyer. When we help you find a home, we work for you completely free. Reason #2: Using a buyer's agent gives you full access to the Multiple Listing System (MLS). As the buyer's agent, we know what questions to ask you so that we completely understand what you're looking for. By way of the MLS, we are able to find every home available that meets all your specifications (area of town, square footage, number of bedrooms, baths, etc.) We can email these to you and/or have you come into the office to go over the possibilities with you on the computer. We can let you know as soon as a home that would be a good fit comes into the market, sometimes even before it hits the market. Reason #4: Using a buyer's agent allows more time for rest and relaxation for you knowing that someone else is doing all the hard work for you.Once you have secured us as your buyer's agent, we do the hard work for you. No more driving neighborhoods for hours or worrying that you're missing the house that would be perfect for you. You can spend your time doing the things you enjoy while the search is being handled by someone else who is a professional. Reason #5: Using a buyer's agent helps to ensure you are getting your home at the best price possible. We can take you out and show you the listings, tell you the past history of the home (how long it's been on the market, price reductions, etc. ), what it sold for when the current owners purchased the property and present additional comparables. Having this information ensures that you make a wise and informed decision in choosing your future home AND in deciding upon a price for your offer. Once that initial offer is presented, the negotiating starts and at this point, you'll want someone who solely represents you (see Reason #3).